Naby Keita is arguably the ‘bigger’ signing in terms of excitement, but Fabinho will be just as important, we reckon. The Brazilian is our first elite holding midfielder since Javier Mascherano, and the Argentine left in 2010. 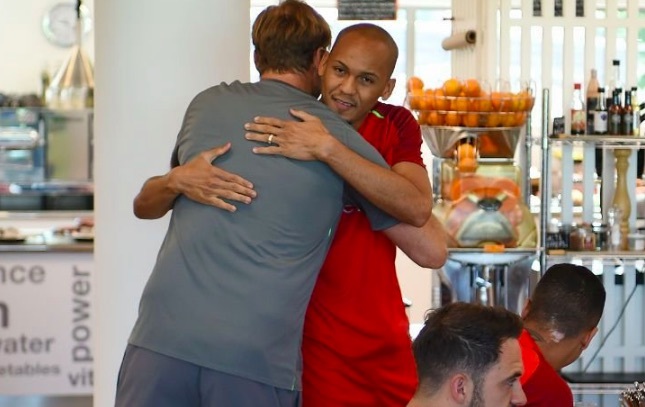 Fabinho is currently enjoying his first pre-season under Jurgen Klopp and could make his non-competitive debut against Chester at the weekend. When asked about his decision to sign for the club, Fabinho was emphatic. “Yes, [it was] very easy. I was sad to leave Monaco, a club that gave me a lot of great moments, but in football sometimes you need new challenges and I thought it was time to move on,” he told FourFourTwo. We really hope Fabinho can help us collect silverware this season, and if you think the same, make your life easier with bookmakerbonuses.co.uk. At 24-years-old, Fabinho will be with us throughout the peak years of a career that’s already seen him play for Real Madrid, Brazil and win the title with AS Monaco. We now have a plethora of central options, including the ever-improving Jordan Henderson, Gini Wijnaldum, Keita, James Milner and the currently injured Alex Oxlade-Chamberlain. This is before mentioning the playmaker that may or may not arrive to replace Coutinho. We already cannot wait until the new season!